Celebrate Cannondale's rich racing history with these colourful tributes to our early days of cross country. Graphics inspired by our racing past, and technology inspired by future podiums. Produced in very limited quantity, so act fast. Nostalgia's a hell of a drug. 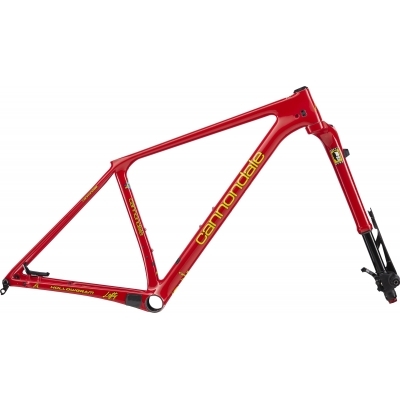 Buy your Cannondale FSi HiMod Throwback Retro Carbon 29er Frameset, Viper Red from CannondaleSpares.com.